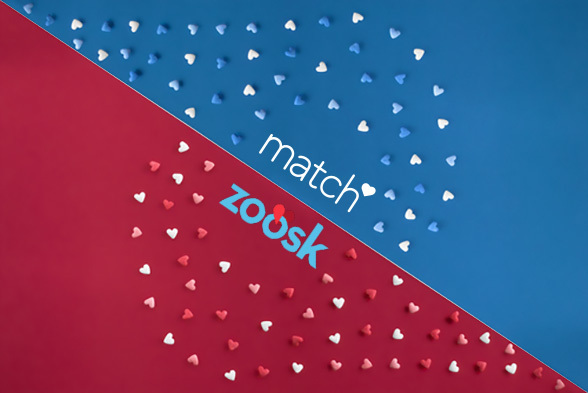 Match revolutionized dating when it first burst onto the scene back in 1995. Ever since then, it has become synonymous with online dating, having helped thousands of people find their other half. Flash to 2012, and a little company called Tinder comes along, taking the dating industry by storm with its mobile app that registers around 1 billion "swipes" per day. Today, both Match.com and Tinder are extremely popular online dating services. So in a head-to-head battle, which one wins? Read on as we explore. Match takes you through a fairly simple signup process, although it does ask some questions. These questions are to your benefit, as you’ll discover later on in the process. The site asks a few questions about yourself, and what you’re looking for in a potential partner. The questions aren’t overly personal, yet they aim to discover your preferences and desired personality traits, qualities, etc in a potential partner. Some people do feel that the questions are too much, but if you’re serious about finding that special person, you need to get specific, and you don’t want to end up wasting time sifting through irrelevant profiles. Signing up for Tinder is extremely easy. It involves downloading the app on your mobile phone, and logging in with Facebook. After that, you’ll have to select up to 5 pictures that you want to show on your profile and write a short bio. That’s pretty much all you need before you can start swiping. The quick signup is an advantage to some, as it’s less of a hassle than other services, but later on you don’t get the targeted matches that come with a more in depth signup process, meaning you may have to swipe through hundreds of profiles before you end up finding that perfect one. But, on the basis of signup, it doesn’t get easier than Tinder. Match’s pricing depends on how long you sign up for, and gets less expensive the longer the plan. It’s $16.99 per month for a 12 month subscription, $17.99 per month for a 6 month subscription, or $19.99 per month for a 3 month subscription. Assuming you’ll need longer than a month to test the waters and perhaps go on a few dates, this seems pretty reasonable. While the service isn’t free, it does do a great job of ensuring that everyone who is signed up is serious about finding someone, as they are paying. One hand this may be a barrier to entry, on the other it’s like a ticket to a show, where you know everyone else there bought their tickets as well. This also means that more often than not, the people you are interacting with have an expendable income and are in a certain socio-economic bracket. The pricing structure is simple — there are no pricing tiers, or other packages. Optional add-ons are offered, but these are not essential to the core of the service. Tinder, on the other hand, is completely free. For some added features however, you’ll need to get Tinder Plus, which costs $9.99 a month if you’re under 30, and $19.99 if you’re above 30, which seems pretty unfair on the face of it. The “Plus” service however has suffered from criticisms such as a complaint of a very high number of fake accounts and location-related issues. The jury is out regarding whether these extras are worth it, and this very much depends on personal preferences. For some people, these add-ons are an essential part of their Tinder experience, while for others, they are more of a gimmick. The fact that Tinder is free also means that everyone and anyone can go on it, as all you need to sign up is a Facebook profile. This means that there are a lot of people who you probably would never be interested in, but that you still have to swipe through. The relatively low barriers to entry has also caused a lot of bots and fake profiles. 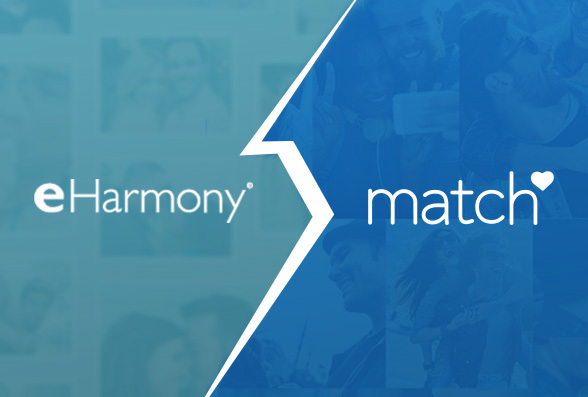 Match offers many features and functionalities, which are simple to use, from organizing connections with the “My Connections” feature, to smart suggestions, “deal breakers” and more. 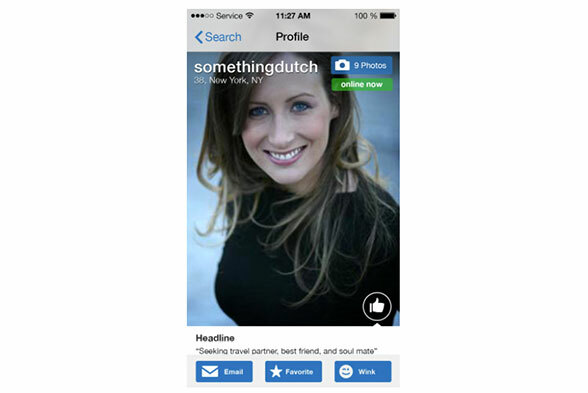 What makes Match even easier, is that the suggestions you receive are tailor-made for you. You don’t have to trawl through hundreds of profiles and searches to find someone who is likely to be a great fit for. The website and mobile apps are well designed and easy to use, offering all the extra features without feeling cluttered. Tinder is extremely basic. Once setup, you are presented with the profiles of people in your area (you can define the radius). Then you swipe left or right, depending on if you want to dismiss the profile (left), or are interested and hope for mutual interest (right). This can get a bit tedious, as you can keep swiping without feeling like you’re getting any closer to that dream partner. More functionality (Tinder Plus and Tinder Gold) comes with additional fees, though we’re not sure they’re worth it. When you do match with someone, you can then start chatting to them using the built-in messaging function, which has a nice design and is very user friendly. Match allows you to send and receive messages, and includes a neat feature that allows you to read your messages in your own email account. It also offers an innovative game feature, which allows you to invite and play with other members you’ve connected to — a great way to get communication flowing without being too direct and awkward. Tinder will let you start chatting only once you have both approved each other as a match. Chatting within the app is easy, although beware of users that ask you to take your chat elsewhere, which could be a scam. 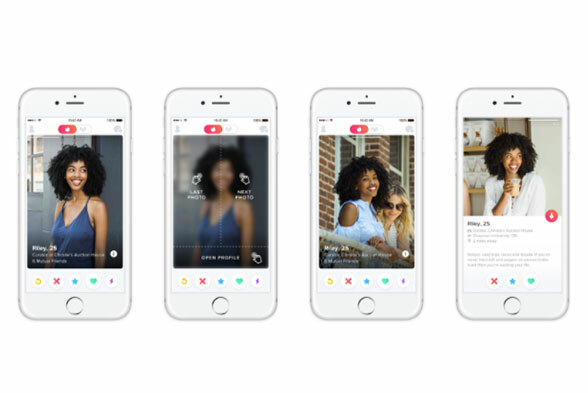 While Match has a mobile app as well as a website (which can also be accessed as a mobile website), Tinder only has an app. 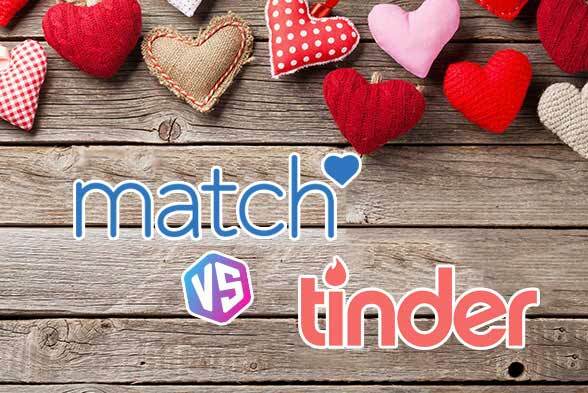 Both Match’s website and app, which is available on all main devices and platforms, are well designed and easy to use, while Tinder’s app is intuitive and comfortable. Tinder has a “coming soon” message on its website, so it seems that it will have a site at some point in the future. Match offers its unique “Singled Out” tool for matches, that finds matches especially for you. You can also utilize tools such as “Mutual Match” and “Reverse Search,” as well as a number of other different search features and filters that narrow down your search tremendously, helping to identify that special someone a lot quicker. Tinder doesn’t offer a search function like Match’s, although some paid packages add an element of search functionalities. 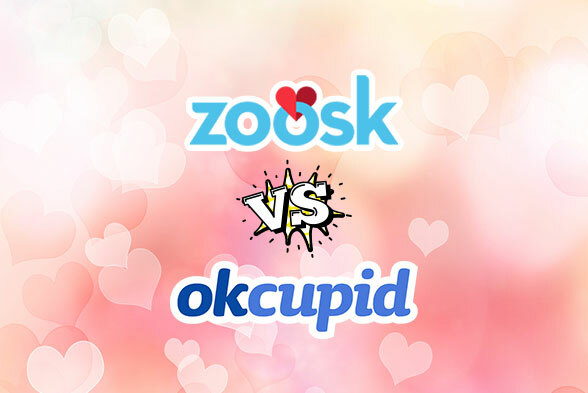 Match includes an element of built-in filtering with its subscription fees and questions that are asked on signup, ensuring that more serious daters are attracted. Having said that, you have to be careful when meeting someone for the the first time. Match collects information about you and your preferences, although this is to your advantage; it learns your selections to find you more relevant and targeted matches. Privacy is a big deal for the company though, so everything is protected and you are asked for all the relevant permissions. Tinder is a lot more casual, in that little information is offered on users’ profile pages, which makes screening a lot harder. What is available however, is your first name and the geographical distance from potential matches. This, together with images taken directly from your Facebook, does make some people a little uneasy when it comes to privacy. What gives some relief, is being able to see mutual friends shared with the other person, from your signing in through Facebook. A great battle between two giants that are both well known in the dating scene. Tinder offers a great app for casually meeting people, but has drawbacks in terms of functionality and is missing the ability to understand who you are and then match you with someone similar. Match brings many more features to the table, as well as accessibility across both desktop and mobile devices. It offers a lot more depth, with matching algorithms ensuring that suggestions aren’t just random, and significantly increase your likelihood of long-term relationship happiness and success; making Match our overall winner.